It’s two weeks into September and my mind is finally beginning to let go of summer. It’s been a slow transition but as autumn reveals its golden glories I can’t help getting excited. And here are two happenings that make autumn great! So yes, this September eat local. Hey, eat local all year long! On that note, if you’re interested in learning to preserve this local food, plan ahead for next month’s Fermentation Fest. 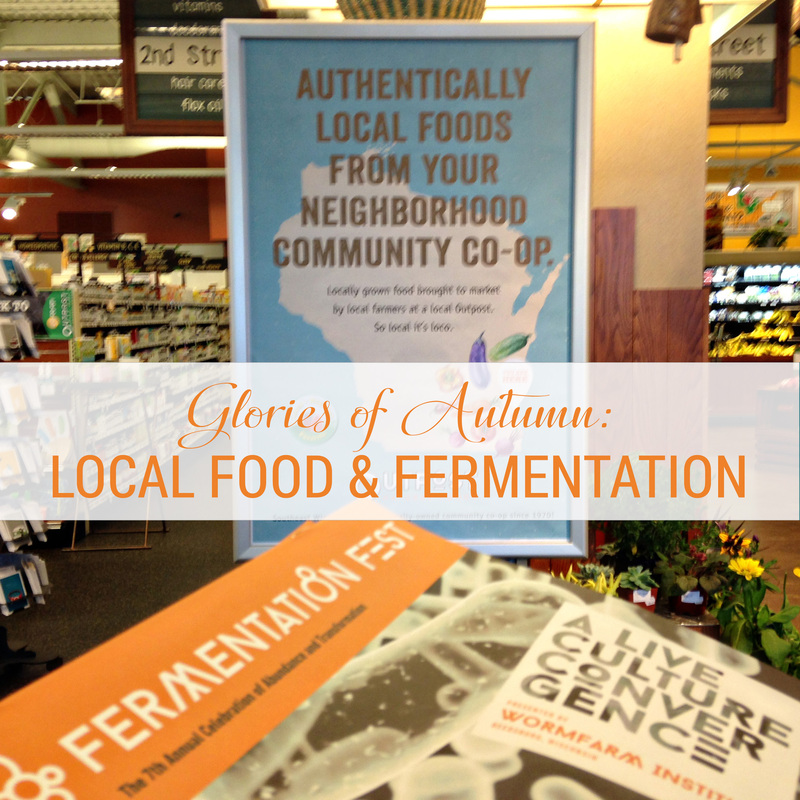 The Fermentation Fest team and I recently put out a beautiful event guide and you can now find it in Madison and Milwaukee area coffee shops and food co-ops. It details more than 60 classes and the great food and art events happening in Reedsburg.